Marco Reus urged Borussia Dortmund not to be distracted by Der Klassiker as they prepare to face SV Darmstadt 98 on Wednesday. Reus & Co. will play host to FC Bayern München on Saturday (kick-off 18:30CET/17:30GMT) with the aim of closing the to the league leaders. Following Sunday's defeat of TSG 1899 Hoffenheim, the Germany international warned Thomas Tuchel's men that they must first focus on the lesser-known names of Darmstadt (kick-off 20:00CET/19:00GMT) before they can turn their attentions to facing the Bundesliga record champions. Question: Marco Reus, in the end it was a deserved win, but for 60 minutes against Hoffenheim, things were tough. What happened? Marco Reus: Hoffenheim are a very compact side and defended with a back five against us. That made things really difficult. The red card was a boost and allowed us to play our game. We put more pressure on them, and that makes it difficult for any opponent to hold out. Question: BVB had already played on Thursday night in Porto; in spite of that, it was your opponents who were struggling physically at the end. Had you planned on that? 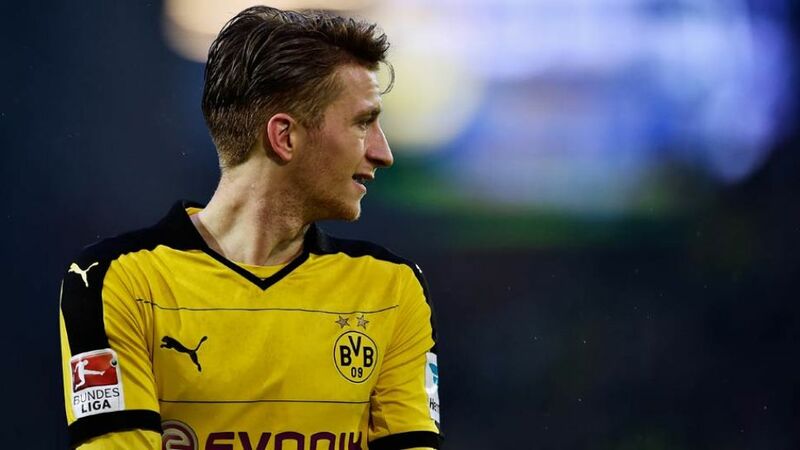 Reus: We knew that they couldn't keep up playing like that for the full 90 minutes. They put in a lot of effort, and were always looking to have a man over. We said at half-time that we had to be patient and pass the ball quicker. We knew Hoffenheim would get tired It was just important for us to stay focused and keep cool in front of goal.